I was heading back up the harbour late afternoon yesterday & Amakura II was sliding down the harbour looking as always stunning. Then I had a flash & thought hell I had not post the two spectacular photos of her taken by Heather Rose, on the CYA Riverhead Hotel cruise. She was 45ft oa when built by Colin Wild for Chas Court in 1936 and had a single 350hp Lycoming petrol engine. Court had Wild lengthen her by 7ft in 1938 when she was fitted with twin Buda diesels of 220hp. C L Urquhart bought her in January 1940 and owned her throughout her NAPS service until bought by W C Wedderspoon in 1947 -49. According to the Squadron’s records and the Register of British Ships she kept her Budas during service with NAPS, Wedderspoon moored her at Hobson Bay, at the Parnell baths end, not far off the rock wall of Tamaki Drive. The next owner was P Mitchell of Wellington 1949-50 and then in 1950-55 by L R H Webber, owner of the Plummer Hat Company, a successful millinery organisation of the day, who had previously owned ‘MARO’, until N T & C C E Mills of Te Puke bought her in 1957 when she was fitted with twin 85hp Graymarines. They were replaced by 86hp Fords in 1961. In later years she went north to Whangarei, where she spent much of her life in a “drive in” shed, on the banks of the Whangarei River. Now back in Auckland, she received a ‘facelift’ at the Peter Brooke yard & would now be one one of the most used classics on the Waitemata. The b/w photo above was taken by Ken Ricketts in Mansion House Bay Kawau Island, Christmas 1948. This entry was posted in 1930's, CYA Boat, Launches, Military and tagged Amakura II, Colin Wild by Alan Houghton - waitematawoodys.com founder. Bookmark the permalink. OOPS the Buda diesels were 110hp each and were supplied in October 1937, not 1938. The Lycoming V12 was a narrow angle engine and may have looked different from the usual 90 degree V8 of the time. It was a huge engine at 1080 cid – 16.3 litres. But the point is that the Lycoming was removed years before, in 1938, and twin Buda diesels installed. My father imported the Budas and supplied them to Colin Wild who was lengthening her. Now I wonder where that Lycoming went??? Jim Somner was my step father, and I spent 5 summers living on board Amakura and as a young teen was well versed in polishing the brass and cleaning and polishing everything aboard, Jim always said the original engine was a large W12 the same as used in landing craft during the second World War, and could do better then 20 knots, but was soon converted to twin petrol’s and lengthened to 50 feet with the back cot-pit closed in, Jim fitted the twin Ford Turbos but took the Turbos off soon after preferring economy over speed although he said the difference to speed was very little with Amakura still able to do 15 Knots sipping only a few gallons an hour. The “missing engines” at North Head were allegedly Hall-Scotts. 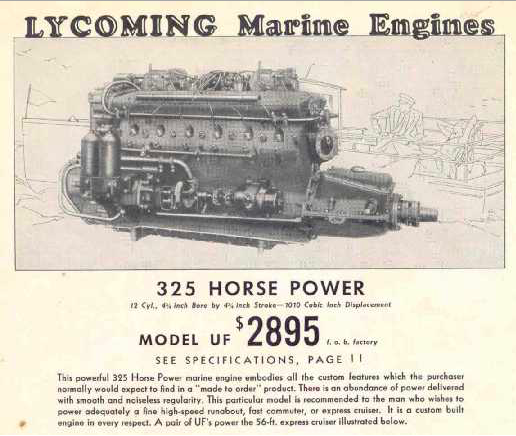 The Lycoming in AMAKURA was a proper V12 (not W12) 350hp marine engine, a close relative of the engines in Auburn and Cord cars and American La France fire engines (trucks, if you must). Lycoming made a flat 12 aero engine but around 1940. Hi Warren MILLS jnr here my grandfather Cliff Mills and his brother Norm purchased Amakura in 57 and my parents honeymooned on her as did many of the Mills family so I may have a lot to owe this old classic, we later sold the launch to Jim Somner afther Norm took her to Whangarei , Jim was a distant relative he carried out the massive changes to her appearance with the bridge and engines , I recall years ago there was rumour that the Lycomming Petrol engine was one of the missing engines from the famed north head missing plane engines but i have no further info re this and its probably just a myth any way great to see people like Harold keeping these old classics alive. I remember when the Webbers owned her , think it was their eldest son Reg , they put the wrong fuel in the tanks SO had to be emptied , cleaned out and the correct put in . Hello My name is Michael Shields and I spent several years on Amakura II, my step father Jim Somner, of Waipu and Somners Transport owned Amakura II for many years in Whangarei and did extensive work on her over that time, , Originally she had an open rear cabin and a single W12 engine, that is a V8 with an extra bank of 4 cylinders in the middle of the V, these same engines were used in landing craft in the second world war, this was removed and changed to twin engines very early on but if you dive down and have a look you can see where the single large Prop was and where the very large prop shaft came out of the keel. When lengthened the rear area was closed in forming a rear cabin. She was sunk during WW2 when after a few too many medicinal rums were consumed and the bow got caught under the wharf as the tide came up water came up though the head in the bow and she sunk. Being a popular boat and crew everyone pitched in and huge crane, called “Tiny” was brought in and she was lifted up and cleaned up in time for the navy who had heard that one of their boats had sunk came to investigate. They found no evidence of any damage or sinking and everything was in order, although it was noted the Rum rations were missing, having been used to pay for the help to clean her up. She had a large machine gun mounted on her bow during the war and a photo of her in her drab paint hung in the main cabin. During Jim Somners ownership he modernised and much altered her. He replaced the engines with twin Ford diesels which he then removed the turbos from for improved economy and also installed the custom made large fridge and freezer unit and removed the head from the bow rejigged the shower and made the the large flying bridge which has now had the roof shortened as it used to extend almost to the rear end of the back cabin, Being a trucker he was very good at getting things ship shape and working well. I was born in 1936 & Amakura was moored, as you know, just by the Judges Bay brdge, in Hobson Bay, a few yards effectively from my parents boat Juliana, which was moored just under the Judges Bay bridge, & we passed within a few yards of Amakura every time we went out, which was every weekend for 8 months of the year, without any exceptions ever, from 1946 to 1955. My parents were the ultimate in dedicated boaties, — 9 years without missing one single weekend. Also as I ahve sais my father knew Mr Shepherd the custodian for Mr Widderspoon.– Ken R.
I wouldn’t for a second suggest that Ken’s memory is playing tricks on him, but it does seem odd that when Webber joined the Squadron in 1950 on buying AMAKURA (he wasn’t a member with MARO), he stated in his membership form that she had twin Budas. Of course, Webber may well have forgotten that they had been changed or someone may have transferred the Buda name plates to the Grays in an obsessive reluctance for change. There are a thousand reasons for Ken to be right, most of them however fairly fringe. Ken is 100% correct that he never saw AMAKURA unlengthened, however. I doubt if he was born in 1938 when it happened. But of course, that’s only according to the Auckland Star, and what did they ever get right? They had always belched huge volumes of black smoke out each side, the whole time I knew her, until they were replaced. — I had actuallly thought they were replaced with Kermaths, but they may have been Graymarines, but definitely one or the other. PS As Russell says, C L Urquhart bought her in January 1940 and owned her throughout her NAPS service until bought by Wedderspoon in 1947. She was an elongated Talua or Rehia I guess (more Talua’s wheelhouse shape). I seem to remember being told that she was lengthened post war. The Mcdougall book NZ Naval Vessels has her length at 50.5′ owner C L Uruhart Auckland.